When your house alarm begins to beep intermittently, there is a fault somewhere in the system. Most often this is due to a loose sensor or a faulty battery. Household alarms have a display screen on the main control panel that indicates which sensor is causing the beeping. To fix a house alarm system that keeps beeping sometimes requires bypassing the zone that the sensor is in altogether for a short time. 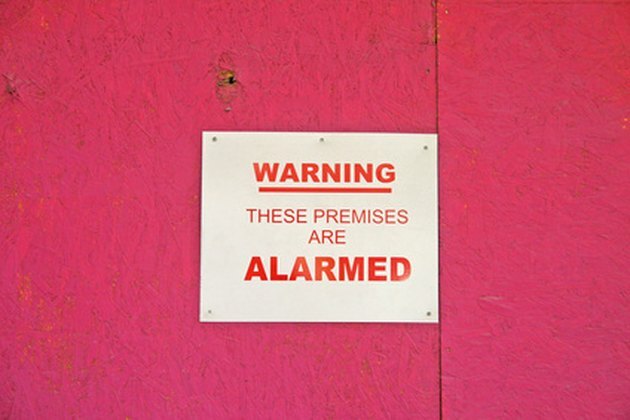 Because of the many different alarm systems on the market today, it is a good idea to have your owner's manual handy. 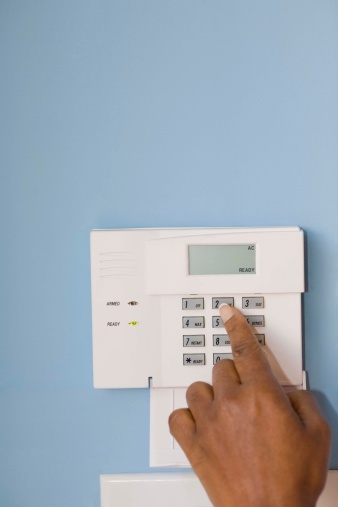 Learn how to fix your alarm system. Go to the alarm keypad and press any key on the keypad with your finger. This stops the beeping for a brief time. Look at the display screen on the keypad. The display screen indicates where the trouble location is in most instances. Find the sensor that the display panel indicates is faulty. Check the sensor to ensure that the sensor and the sensor contact are secure. If the sensor or contact is loose, they will not make a good connection and you will receive a faulty beep. Tighten any loose screws securing the sensor or contact with a Phillips-head screwdriver, if your system uses screws. Some systems use a special epoxy glue to hold the sensors in place. If that's the case for your system, call your alarm company. Remove the screw securing the cover to the sensor with the Phillips-head screwdriver. Pull the battery out of the sensor and install a new battery. Place the cover back on the sensor and secure it with the retaining screw. Go back to the alarm control panel and check the display screen. If the sensor is no longer troublesome, the screen will display "Ready." If not, bypass the sensor temporarily and call your alarm company for service. Enter your personal security code and press the bypass key. Some alarms will differ on how to bypass zones, so refer to your owner's manual for specifics on your alarm. Generally you enter a two digit number that identifies the zone you wish to bypass. This will stop the beeping until the alarm company services the system.